Canada’s minister for the status of women suggests the number of missing and murdered indigenous women could be as high as 4,000. 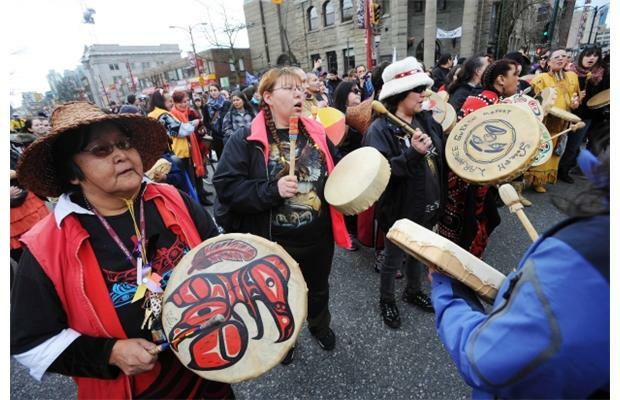 26th Annual Women’s Memorial March in Vancouver, Feb 14, 2016. 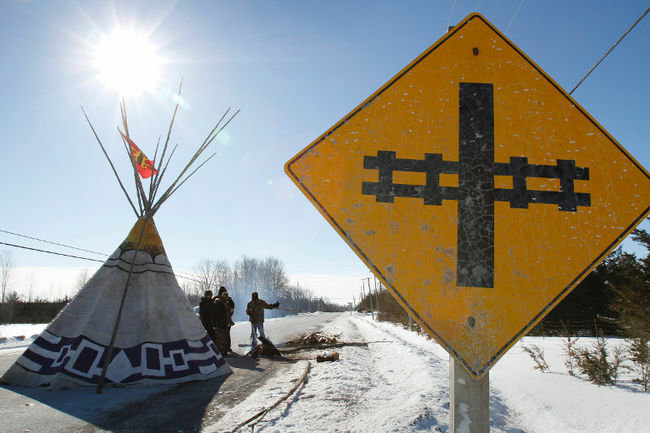 Photo: Global News. 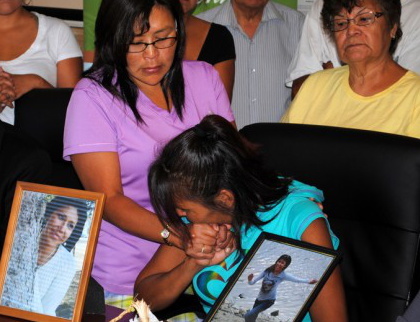 Shirley Paul (right), mother of Samantha Paul, is consoled by her sister Joyce Paul, during a press conference at the Tk’emlups Indian Band offices on Monday, Aug. 11. Local First Nations leaders are urging vigilance and asking for help after a skull found south of Barnhartvale in June was determined last week to be that of missing native women Samantha Paul. 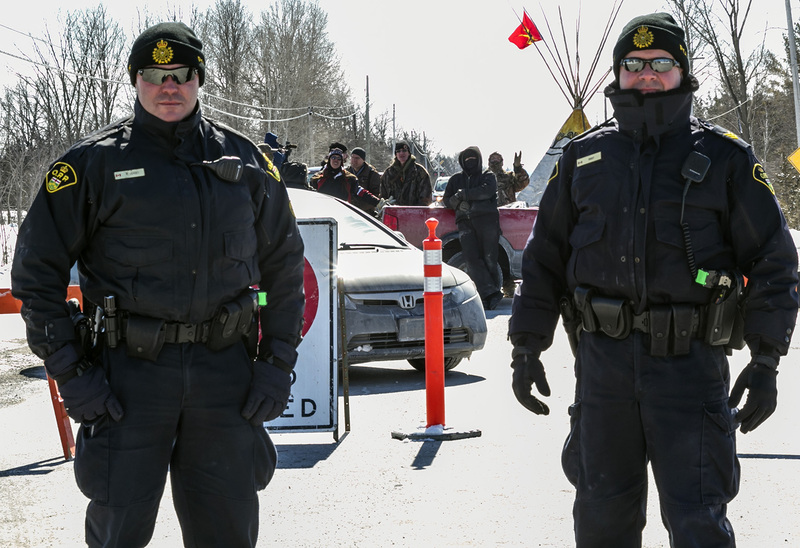 Ontario Provincial Police at Tyendinaga blockade, March 2014. Photo by Dawn Barger. 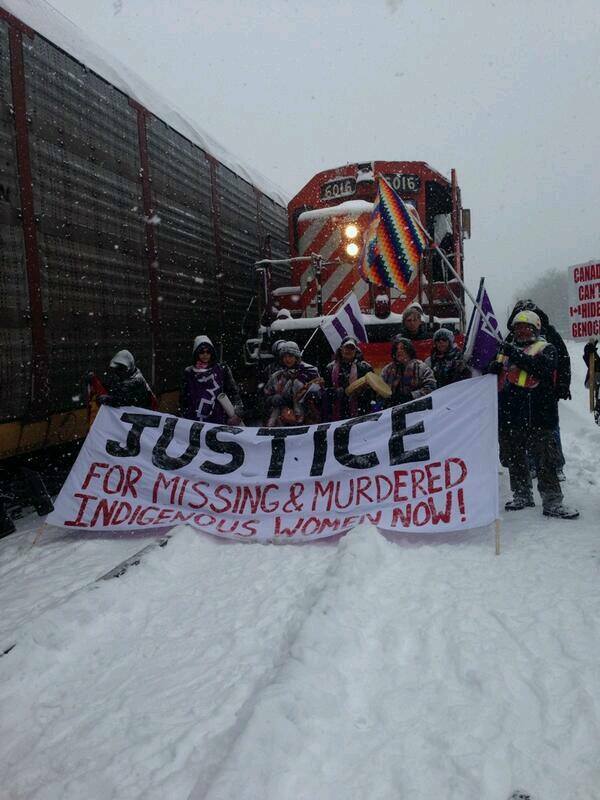 23rd Annual Women’s Memorial March in Vancouver, Feb 14, 2014.